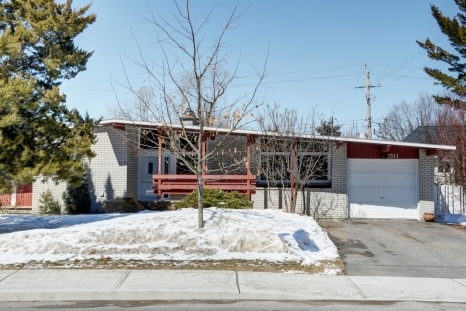 Your opportunity to own a fabulous Mid Century Modern home lovingly lived in and maintained by one long time owner. Stylish design, great living spaces, a bungalow with a walkout lower level making those spaces have such value and usability. Updated and renovated but retaining it's period feel. Generously furnished by @vaniermoderns to emphasize its period feel. 3 plus 1 bedrooms. The master has an ensuite! Gorgeous yard and landscaping. This small community of homes boasts the attributes of suburban living with its generous lots and home amenities yet so urban and walkbale: Farm Boy and Rainbow Foods are a mere 10 minutes by foot while Britannia Beach is . Enjoy the conservation area and all its paths steps away form this home. Offers welcomed at noon on April 9th. Foyer 1 12'10" x 4'7"
Living 1 20'3" x 13'10"
Kitchen 1 11'10" x 7'8"
Master Bedroom 1 14'8" x 11'10"
Ensuite Bathroom 1 9'10" x 4'6"
Bedroom 2 1 11'5" x 9'10"
Full Bath 1 7'6" x 4'10"
Bedroom 4 L 17' x 14'2"
Family Room L 20'2" x 14'2"
Workshop L 16'6" x 11'4"
Storage L 16'9" x 11'4"